"El andariego" by Alfredo Gobbi y su Orquesta Típica, 1951. “El andariego” by Alfredo Gobbi y su Orquesta Típica, 1951. Unequalled name, with more than six decades of unaltered force throughout two generations, is Alfredo Gobbi’s. 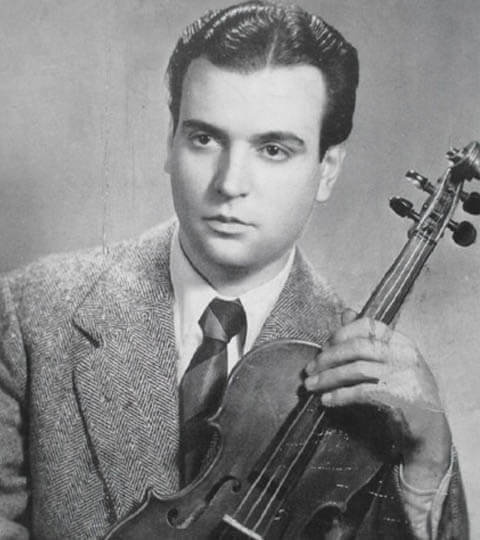 When that indefatigable pioneer of the difficult beginnings of the tango conquest, called D. Alfredo Eusebio Gobbi, culminated his prolonged artistic performing career, his son, Alfredo Gobbi as well, was sticking out towards consecration, as the proper continuer of an illustrious popular artistic tradition of ours. He dedicated this tango to his father. Continue reading.